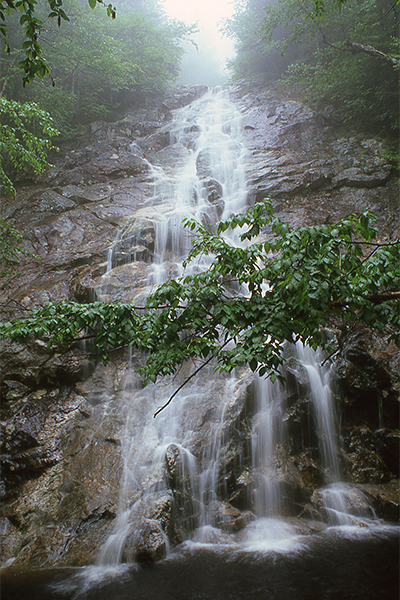 The sum of the height of the falls and cascades that adorn Nancy Brook is estimated at 300 feet, making Nancy Cascades undeniably one of the tallest in New England. Nancy Brook is fed by the waters of Nancy Pond. 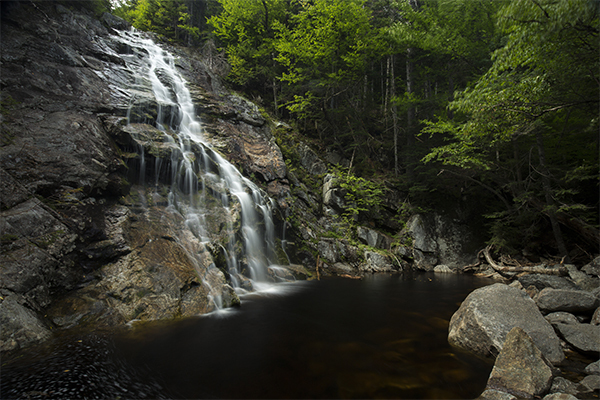 Both the cascades and the pond have been held in high regard for over a century, and rightfully so. A rust colored pool below the 45-foot fanning horsetail marks the lowest segment of the falls. 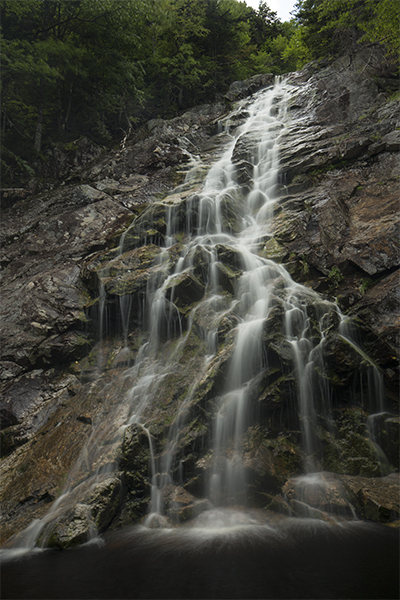 The waters of Nancy Brook cascade down gray gneiss bedrock before hopping over a ledge, causing the water to plunge the remaining distance into the pool below. By the time you reach the lower falls, 2.5 miles into the trail, you may be tired of the continuous climbing effort already demanded of you. For that reason, the spectacular lower falls are a rewarding relief. 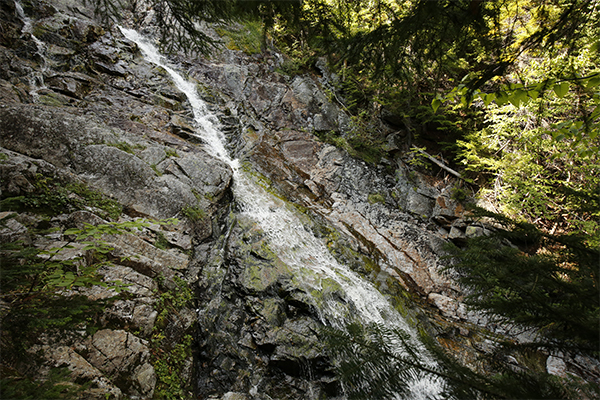 Above the main falls are hundreds of feet of chutes, slides, horsetails and small plunges. 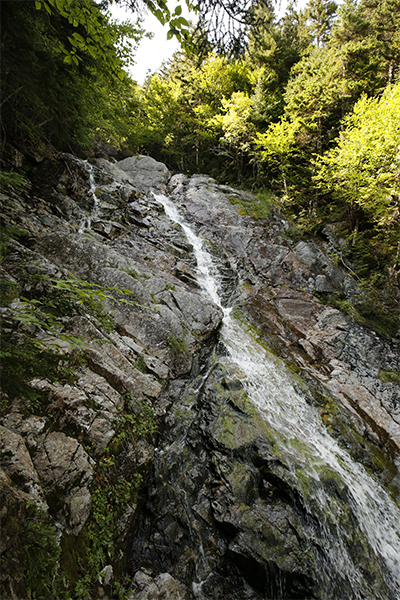 The Nancy Pond Trail provides access to see another 80 feet of falls, which are directly above the lower falls. Beyond that, a bushwhack is required to see the rest. 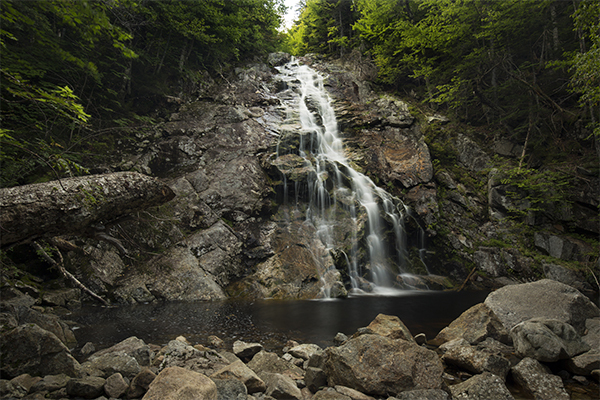 About 1.0 mile and 600 vertical feet above the lower falls lies Nancy Pond, a remote, peaceful body of water just southeast of Mt. Nancy. 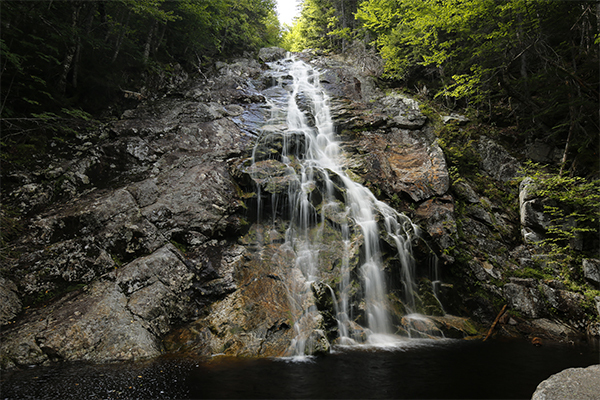 The brook, pond, falls, and a nearby mountain are named after a passionate servant woman, known only as Nancy, who entered Crawford Notch during a White Mountain winter, trying to reach the camp where her lost fiancée was. Failing to catch up with her lover, who left Nancy without saying goodbye before embarking on a trip, Nancy crossed the Saco River and quickly become exhausted by the chilly waters. She was found dead from hypothermia the next day. 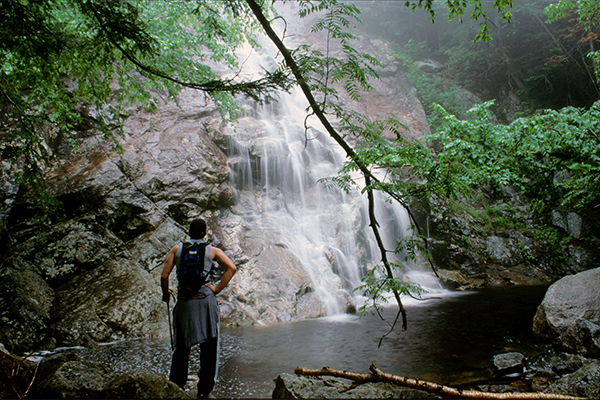 The Nancy Pond Trail continues above the falls and on towards several attractive backcountry destinations, including Nancy Pond and Norcross Pond. The trail is also used to access steep herd paths that lead up Mount Nancy, one of the hundred highest peaks of New England.